We work directly with local legislators to create systemic change in areas such as curb cuts in sidewalks, the expansion of public transportation, accessibility to public spaces, and affordable housing that is safe and accessible. We also have many opportunities for the community to get involved and find their own voice for advocacy. 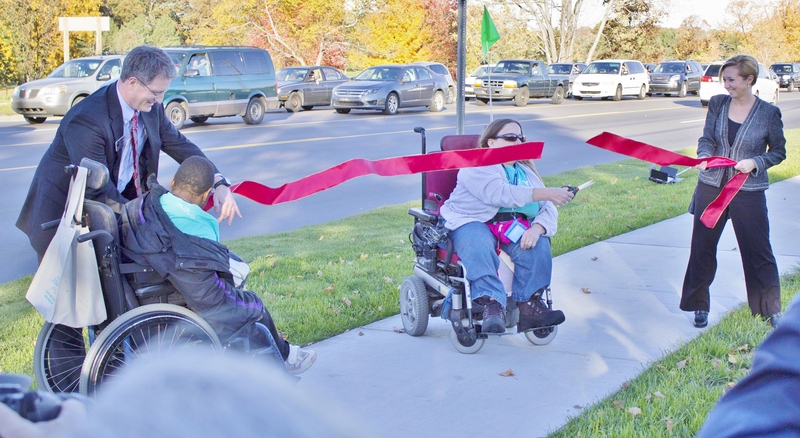 We educate and support people with disabilities locally and statewide on how to use community organizing skills and issue-focused committees to eliminate disability-related barriers and other issues in our communities. We often have State and Local Legislators visiting our office so “our” collective voice can be heard.